John Wells enters new territory, as he goes underground in East Africa to track four kidnapped Americans and the Somali bandits who snatched them, in the tough, thoughtful, electrifying new novel from the #1 "New York Times"-bestselling author. Four friends, recent college graduates, travel to Kenya to work at a giant refugee camp for Somalis. Two men, two women, each with their own reasons for being there. But after twelve weeks, they re ready for a break and pile into a Land Cruiser for an adventure. They get more than they bargained for. Bandits hijack them. They wake up in a hut, hooded, bound, no food or water. Hostages. As a personal favor, John Wells is asked to try to find them, but he does so reluctantly. East Africa isn t his usual playing field. And when he arrives, he finds that the truth behind the kidnappings is far more complex than he imagined. The clock is ticking. The White House is edging closer to an invasion of Somalia. Wells has a unique ability to go undercover, and to make things happen, but if he can t find the hostages soon, they ll be dead and the U.S. may be in a war it never should have begun. 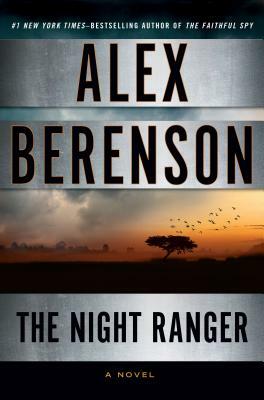 As a reporter for The New York Times, ALEX BERENSON covered topics ranging from the occupation of Iraq to the crimes of Bernie Madoff. His six previous John Wells novels include "The Faithful Spy," winner of the 2007 Edgar Award for best first novel. He lives in New York City.